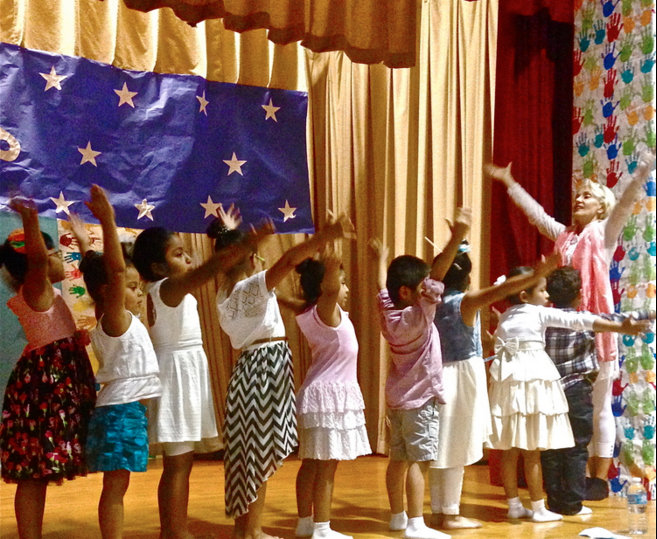 MCGD has developed and ran a thriving after-school dance and creative movement program at P.S. 24 in Sunset Park, Brooklyn from 2007-2016. Each class supports MCGD's values of education, nurturing of creativity, inner dialogue and responsibility to the partner and the group at large and can accommodate up to 20 students. Classes are free and open to any student, age 5–10, who is enrolled at P. S. 24. 1. Class begins in a circle with exercises that include the alignment of the spine and articulations of the legs (hip/knee/ankle), the coordination of different body parts (arms and legs) and the stretching and strengthening of the muscle apparatus. 2. 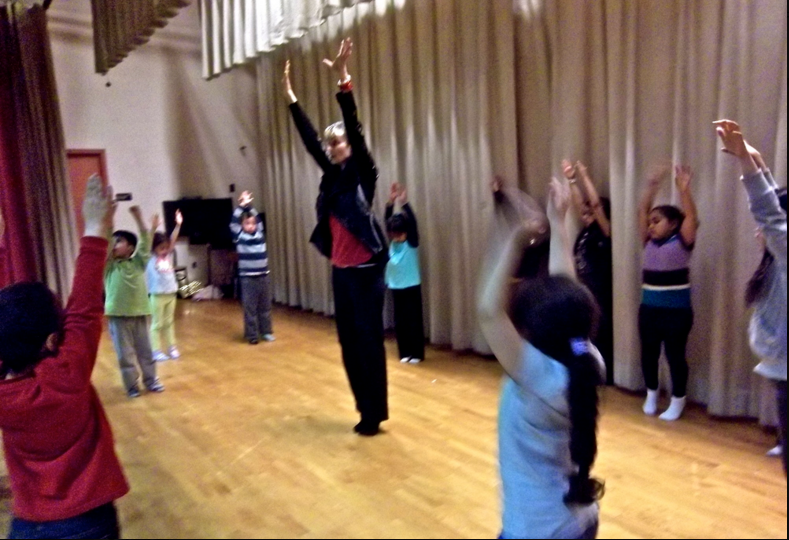 The instructor directs the children in the exploration and use of the space through movement. They move across the floor two by two, using different levels, tempi and directions as the teacher slowly builds short phrases of movement. Specific images and metaphors are used to inspire the students to make connections with concepts they have already grasped. 3. The rest of the class is designed to allow each student to create her/his own movement pattern in response to the images, quality or color of movement and the music introduced on that day. The children love this part, as they are allowed to improvise according to their own temperament. It gives then the chance to shine, express themselves and feel free in a carefully supervised environment. The encouragement of their creativity and the freedom of choice make the classroom activities more exciting and fun. Ms. Giordano finds that this process is very valuable for students whose differing athleticism and body types may sometimes result in shyness. After a few classes, many of them truly blossom. The class draws on music from different styles and cultures that often vary, including Native American, African, Indian, Classical, Arabic and pop, further extending the students' creative and cultural frontiers. Giordano, who has led this program for six years, teaches with the help of an assistant. Company members who have developed a deep understanding of MCGD's educational mission teach as well. With two teachers in the classroom, children receive more personal attention and encouragement. Over the course of the entire school year, these sessions provide a sustained arts experience and hopefully foster inspiration that will remain with the children into adulthood.